In recent years, the Russian education system has undergone significant changes. Most experts still can't decide whether these are for better or worse. The main task of current reform is preserving the best elements of the old Soviet system while creating new mechanisms to address the needs and demands of the modern world. The most popular topic of discussion is the so-called "ediny gosudarstvenny ekzamen" (EGE) - the Unified State Exam implemented upon high school graduation. The standardised test was introduced in Russia for the first time this year. Its structure is very similar to that of a well-known American SAT. Moreover, just like its foreign counterpart, the Russian standardised test greatly effects students' options when selecting higher education institutes. The test's opponents say EGE is a poor measure of high school students' academic ability. As with most standardised tests, it is mainly composed of multiple choice questions and doesn't reflect such valuable qualities as creativity and ability to think out the box. According to those against the EGE, the most talented students will not benefit from the new testing system. The main objection is that EGE demands pupils to meet the requirements of empirical testing methods instead of giving them the opportunity to express proficiency in different disciplines. However, whether welcome or not, EGE was implemented in all schools across the country - making it impossible for high school students to graduate without successfully passing the exam. On the other hand, defenders of standardised testing say the process helps evaluate intellectual aptitude and the quality of education in Russia in an unbiased and consistent manner - a much needed tool in the current state of the Russian education system. The knowledge that high school and college officials gain from this new structured method of evaluation helps them better judge high school graduates' level of preparation and more fairly compare applicants. Andrey Fursenko, Minister of Science and Education, is among the vivid supporters and initiators of unified state examination in Russia. According to Fursenko, "2009 EGE results provide a complete, valid and unfortunately sad estimate of the state of the education system in Russia." However, the minister is optimistic about the testing process: "Besides evaluating the quality of education on all levels, EGE helps us better identify the prospective areas of our social and economic life," says Fursenko. "We now understand what areas are in demand among the best of our graduates, so we can forecast what fields will have highly qualified specialists in 5-10 years' time." However, despite the minister's confidence in the selected testing tool, debates around the EGE's value continue to rage. The Russian Ministry of Educations claims the introduction of EGE into the lives of Russian students is a part of its obligations as a member of the European Council under the Bologna convention on higher education. The exams are seen as the first step in much-needed educational reform in Russia. However, according to some experts, the standardised tests' "undercover mission" is to also fight corruption and the grade-buying tendency that seems to infect the Russian education system on all levels. According to a UNESCO report in June 2009,this year bribery in the Russian education system was worth about $150 mn. Some experts suggest that the tradition of bribing one's way into a good school or university has existed in Russia "since Soviet times". Most teachers believe the test implementation approach chosen by education officials is not equipped to solve the problem. "Education reform should assist the people involved in the process - teachers and pupils - not the government officials with their artificial charts and far-fetched goals," says Elena, a maths teacher and headmistress at a Moscow private school. "Cheaters will always find a way around the system. The new testing method creates far more problems than it actually solves. Instead of helping our graduates show their knowledge and prove worthy of the selected profession, the new system handicaps their expressional ability and creates confusing results, thus leaving room for manipulation and plain computer mistakes," she says. Just like Elena, Sergey, a history teacher, is opposed to the reform innovation, calling for a"better and clearer curriculum and new teaching methods, instead of confusing testing procedures alien to the very Russian mentality". The contemporary educational system in Russia is built on the remains of the old Soviet mechanism, which doesn't always reflect the tendencies of the modern world. The main difference between the old Soviet system and the contemporary one is the approach to programme implementation at schools and universities across the country. The old system set the same standards for all schools, implemented a uniform educational programme for each subject and concentrated on providing students with very thorough and comprehensive knowledge of a wide variety of disciplines. The modern system's lack of uniform programmes makes it really hard for dedicated parents to find that perfect school for their children. "In the modern world, each school decides on what and how to teach," says Natalya, a secondary school English teacher in Moscow. "Even though all programmes are evaluated and approved by the Ministry of Education, keeping track of all innovations and teaching mechanisms is extremely hard." Another innovation of the new education system is the increasing number of schools charging parents for their services. Besides the official sector of privately owned schools, a significant number of public institutions are now dependent on tuition revenues as their second major source of income after state allocations. As they say in Russia, "time will show" - meaning the quality of education can only be judged by one's professional success. However, the fact that a significant percentage of foreign university faculty and staff are Russian natives speaks for itself. That's definitely a valid statement in favour of the Russian education system - both the old and developing one. Education in Russia is compulsory until the 9th form (age 14-15) inclusive. If a pupil of secondary school wishes to go on to higher education, he must stay at school for two more years. Every school has a core curriculum of academic subjects. Most children attend pre-school educational and development centres. In elementary school, kids become proficient readers during the 1st semester, when they begin studying a foreign language (usually English). By the end of the 2nd grade, the art of writing short essays is fully mastered. Algebra, history and geography start in the 4th grade. The 2nd foreign language of choice starts in grades 4-5. Primary Education Curriculum: Russian language and literature, mathematics, Russian and Soviet history, a foreign language (from grade 2), ICT (from grade 3), social science and basic concepts in geography, natural science (including general notions about man and his role in nature), an introduction to physical geography and natural history, arts, music and physical education. Schools operate on a five-day week with the academic year generally lasting from September to May or June. Students receive approximately 24 hours of weekly instruction. For the most part, students are taught all subjects by one teacher. Formal examinations are held at the end of the fourth grade. By high school, pupils of Russian schools are introduced to physics, chemistry, biology, technical drafting, Russian and World literature, history, geography and the basics of law. Modern technologies and some professional disciplines, such as economics and basics of finance, are also taught. Secondary Education Curriculum: Minimum state requirements mandate the following fields of study: humanities (with a special emphasis on Russian language and literature) and foreign languages, social sciences, economic and social geography, natural sciences, technology and basic general skills such as home economics, sewing, cooking, metalwork and carpentry, arts and physical education. Secondary education is divided into two cycles: lower and upper secondary. Lower secondary school, or incomplete general education, is compulsory; 90 pc of students currently transition from the elementary level to the lower secondary level. From grade five, school subjects are taught by specialist teachers. Students completing the lower secondary cycle take final examinations (the state final attestation). Successful completion of these leads to the award of the Certificate of Incomplete Secondary Education. The certificate grants the holder access to further studies in either the secondary (complete) general education stream or the vocational stream, as well as to non-university level higher education. Upper secondary education is divided into two basic streams: academic and vocational/technical. In the academic stream, students complete the secondary cycle after two years of study (grades 10-11) during which they receive a minimum of 31 hours' weekly instruction. Students are awarded the Certificate of Complete Secondary Education after successfully passing the state attestation examinations, for which students must be examined in no less than five disciplines: two compulsory examinations (composition and mathematics) and no less than three examinations in elective fields. In higher education, the old system, based on a five-year programme, exists alongside the new structure consisting of a four-year first degree Bachelor followed by a two-year Masters programme. 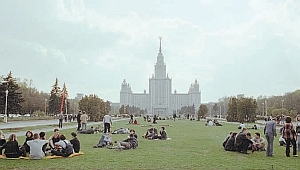 Lomonosov Moscow State University (1755), universally recognised as Russia's number one, enrolls about 2000 international students and postgraduates every year. St Petersburg State University (1724) is one of the most prestigious in the country. The State University - Higher School of Economics specialises in social sciences. It was founded as an MA training centre but soon offered Bachelor programmes in economics. Bauman Moscow State Technical University (1830) was always known as an engineering university of educational excellence. Kazan State Universty (1804)is routinely listed among the 5-10 best institutions of higher education in the country. Tomsk State University (1878) is the first higher educational institution in the vast area from the Urals to the Pacific Ocean. Ural State Technical University (1920) is the leading technical university in the Urals, with 15 faculties and over 40,000 students. St Petersburg State Institute of Fine Mechanics is a unique University of Optics and Computing Science. It has gained worldwide recognition and inspires significant interest.